The national airline is Cayman Airways (www.caymanairways.com). Services include Havana, La Ceiba, New York, Miami and Tampa, plus seasonal flights to Chicago. British Airways (www.ba.com) flies to the Cayman Islands via Nassau. Delta (www.delta.com), JetBlue (www.jetblue.com), United (www.united.com) and Air Canada are other major carriers to Cayman, many of whom also run seasonal flights. Inter-island travel is handled by Cayman Airways Express. Saturdays can see significant congestion at the airport due to its relatively small size compared to the amount of flights; be prepared to wait (bring water, sunscreen and a hat – sometimes the lines can stretch outside, which isn’t much fun at 1400 under a blazing Caribbean sun). The airport is 3km (2 miless) from the main tourist accommodation in the southwest. The airport is 2km (1 mile) east of George Town. From London - 13 hours (including stopover); New York - 4 hours. 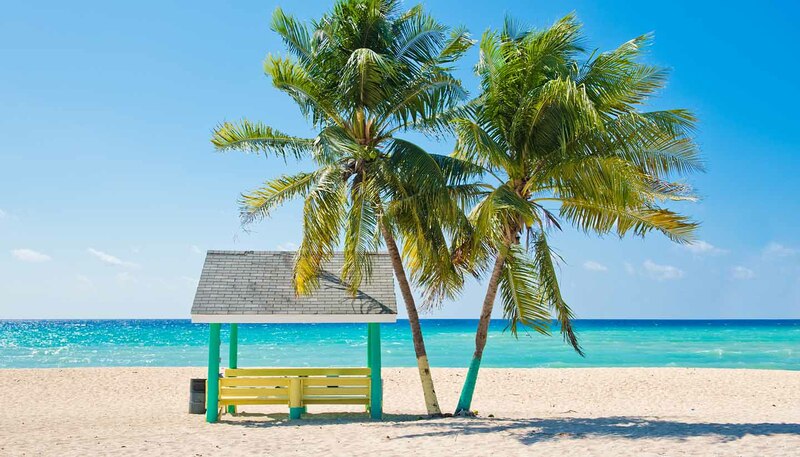 Grand Cayman is one of the most popular Caribbean ports and a busy port of call for leading international cruise lines operating from North America, Mexico and Europe. Grand Cayman’s port (www.caymanport.com) is situated in the capital, George Town. By day it handles cruise ships, then by night it switches over to cargo only. Ships may also dock at the Royal Watler cruise terminal, which is a rather gaudy mess of tourist shops, tour operators peddling their wares and often steel band music to welcome visitors. However, in contrast to other Caribbean destinations, it's kept free of hawkers and unlicensed operators (outside the terminal is a different matter, of course). Occasionally you will see mega-yachts anchored off shore; these huge ships are more than capable of handling the choppy waters over the reef. Sailing trips to Cayman are rare, mostly because of the deep water, but private boats are very well served. The George Town Barcadere marina (www.barcadere.com) is a brand new, world-class and environmentally-friendly marina located on the North Sound coastline and adjacent to the airport. There are more than 80 slips and it can handle ships up to 40m (130ft) in length, with a maximum draft of 2.4m (8ft). A chandlery, showroom, boatyard, restaurant (with Wi-Fi) and more are available. Ships currently tender passengers to shore but conversations have been ongoing for nearly 20 years about potential development of a cruise dock to enable the country to handle the largest Oasis-class cruise ships. There are sometimes long waits to re-board the tenders for the cruise ships which the country is addressing by providing additional shade. It may be surprising initially, but ferries do not operate between the three islands due to the immense depth of the ocean. Cayman’s islands are the tips of ancient underwater volcanoes (long since extinct, don’t worry!) and some of the deepest seas in the world surround them. Trips between Little Cayman and Cayman Brac are possible by private hire.